4890 Summerdale Avenue — Corporate Realty Partners & Co., Inc.
Bldg Space: 24,650 +/- Sq. Ft.
C.R.P. 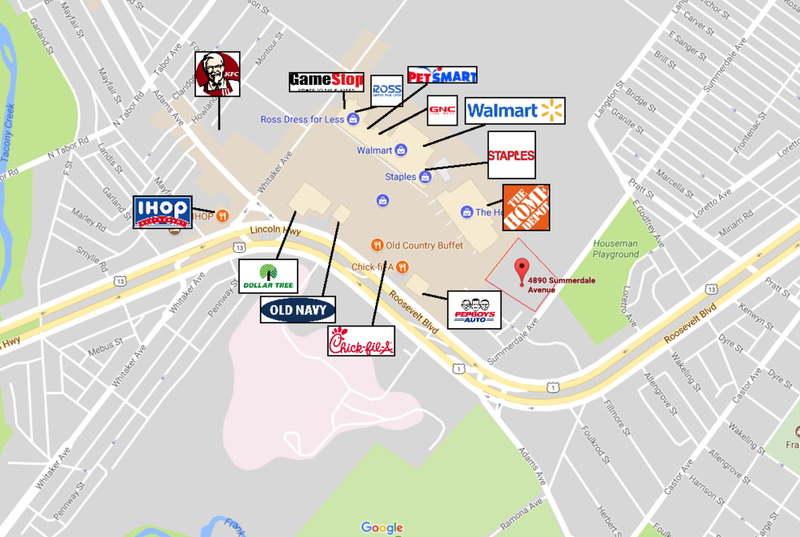 & Co. is pleased to announce the availability of 3.5 +/- Acres of Land located adjacent to the Northeast Tower Center (a 300,000-400,000 power strip center). The subject property offers immediate access with high visibility to existing unmatched retail sales. An outright sale or ground master lease will be considered. Additional expansion capability is available.